Although a mobile phone may be internet ready, it will require activation with 3G or GPRS settings before it can be used to browse the internet. In this page, you will find information on activating your mobile phone for internet browsing on MTN, Glo mobile, Airtel, 9Mobile, and so on. For a mobile phone to access internet services, you need to load the appropriate internet, 3G, or GPRS settings. To access internet with mobile phones or modem, you need to activate it by loading the mobile network’s GPRS or 3G internet settings to your mobile phone. 3G or GPRS settings can be obtained in two ways, the automatic and manual methods. The automatic method of obtaining your 3G or GPRS settings involves sending an SMS command to the mobile network. On reception of your SMS, the network will send you your 3G or GPRS settings. You will then have to save the GPRS internet settings to your mobile phone. Modems and some mobile phones (usually newly launched mobile phones) may not accept automatic internet settings, in such a situation you will have to load your GPRS internet settings manually. In Nigeria, you do not worry about activating your mobile phone for internet access if you are using CDMA. This is because CDMA networks usually carry exclusive mobile phones, which are often preloaded with internet settings. When buying a mobile phone from network exclusive outlets, ask whether the mobile phone has been activated with the required internet settings and if not request for internet configuration on the spot. To get your 3G/3.5G/GPRS internet settings, text SETTINGS to 3888 on an MTN Nigeria mobile phone. Save the internet settings when received. You can also use manual internet or GPRS settings. 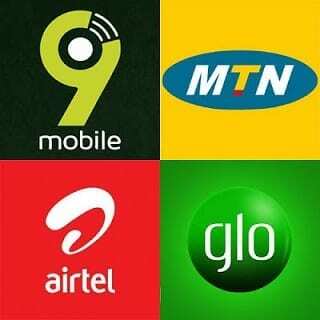 Use manual 3G/GPRS settings only if automatic MTN settings request fails. To load automatic Glo settings, SMS Flat [space] name & model of the phone to 1234. For example, to configure your Nokia 5230 simply SMS Flat Nokia 5230 to 1234. You will receive the settings over the air. Save the settings on your mobile phone. To get your Airtel GPRS settings SMS Internet [space] [phone make] [space] [model number] to 232. For example, to activate Nokia 5230, SMS Internet Nokia 5230 to 232. Save the Airtel Settings on your mobile phone when received. To load automatic settings to your Etisalat mobile device, SMS SETTINGS to 790. The Etisalat Settings will be pushed to your device over the air. Save the settings to your mobile phone. Here are the settings required for modems and most mobile phones and tablets. CDMA networks carry specific phones preloaded with network settings like internet settings. Hence, if you bought your CDMA phone with internet capability from an authorised outlet of CDMA networks like Starcomms, Visafone, Reltel, Zoom mobile, or Multi-Links it is likely to be preloaded with internet settings. However, inquire just to be sure.